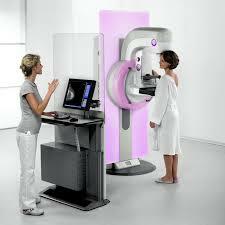 Over the years we have heard a variety of differing opinions when it comes to breast cancer screening. It can be confusing to know at what age we should start screening and what kinds of screening are appropriate based on personal health history. Part of the confusion stems from the fact that not all organizations agree on screening guidelines so, first and foremost, it is important to speak to your physician. It is important to understand what risk level you are when it comes to breast cancer because some people are at a higher risk than others and may need earlier and more comprehensive screening. If you have no symptoms, have no history of cancer, have no “first degree” family history (parent, sibling, child), and don’t have a history of radiation exposure then you are at an “average” risk level for the population. This means that you do not need early screening but can follow general guidelines when it comes to breast cancer screening. If you have a family history of breast cancer, have certain kinds of benign breast conditions, have a known BRCA1 or BRCA2 gene mutation, or have been exposed to radiation you are at higher than average risk level for breast cancer. For women that are at an average risk level for breast cancer it is important to conduct routine self exams and watch for any changes in breast size, shape, texture or visual appearance. Routine screening should begin at the age of 40 but what exactly that means varies by organization. Some organizations believe that women should begin getting mammograms once every 1 – 2 years at the age of 40, some other organizations recommend waiting until age 45, and some recommend age 50. Some recommend choosing the age to begin screenings after 40 at the discretion of the physician and patient. For women with a higher-than-average risk of cancer, recommendations will be made based on their personal health history and routine screening may start very early but, on average, begins at age 30. In addition to physician recommendations and organization recommendations, your insurance company may influence your decision to undergo routine screening. Some think – why not start screening early, what can it hurt? But insurance companies determine an age and if you opt to get screening earlier than their pre-determined age you may have to pay for it out of pocket. Additionally, the primary harm of screening too earl is that it can actually lead to false positives which are upsetting, costly and completely unnecessary. Ultimately, the best person to talk to about what kind of screening is best for you and when to begin is your physician who knows your health history and can help you determine the best course for your healthcare.